The Straker Steam Vehicle Company, Ltd. produced a steam lorry in 1901. 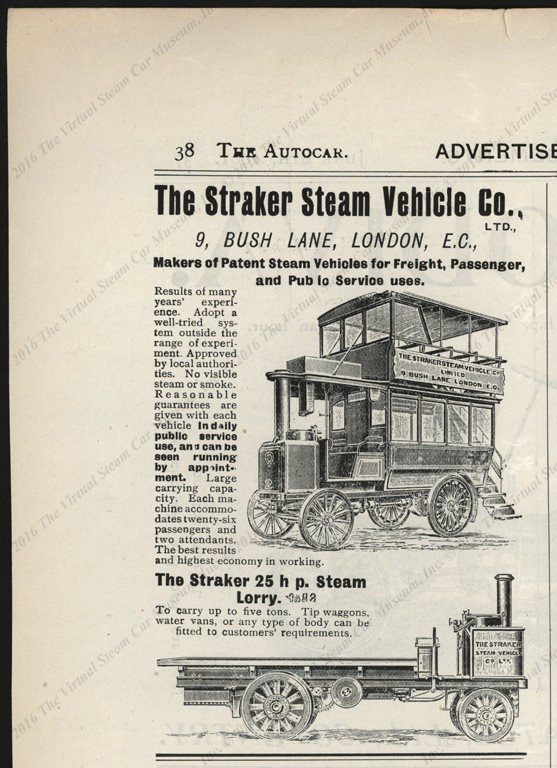 This Straker Steam Vehicle Company advertisement appeared on June 8, 1901 in The Autocar Advertisements Section, page 38. Contact us if you have additional information about the Straker Steam Vehicle Company of London, or if you have questions.